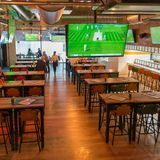 Sports Bar and Grill Canary Wharf is a lively bar where you can catch all the latest sporting matches on large plasma screens. 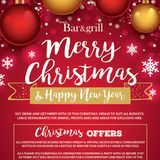 "Multi award winning Sports Bar & Grill is the leading sports restaurant in Canary Wharf, is the place to dine, drink and watch the best live sports action in a relaxed, comfortable environment served by a friendly professional team all with a passion for hospitality and service excellence. Broadcasting a wide selection of British, American and European live sports channels as well as daily morning financial and international news coverage. Open seven days a week serving breakfast , through to an extensive all day dining menu and trademarked BeerDogs & new Uber burgers menu using freshly delivered produce all prepared, cooked and served from an open plan kitchen. Our beverage list includes a large range of wines, champagnes, beers, spirits, thick shakes and malts. 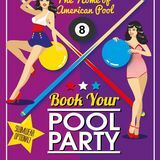 Signature menu items include homemade beef , lamb and vegetarian burgers, traditional beer battered fish and chips, buffalo wings, twice glazed bbq baby back ribs as well as daily kitchen specials - available to dine in or take away. Offers free high speed WiFi, plug sockets for charging lap tops and mobile phones, link up to our screens for presentations and private areas that can be reserved for meetings and social events. Our all-inclusive food and drinks corporate hospitality packages are designed as an ideal opportunity to entertain guests for major sporting events. Our flagship Cross rails Canary Wharf is largest and finest in the Sports Bar & Grill portfolio to date with three bars, private rooms which can be reserved for meetings, dining, product launches, an outside terrace and an amazing 50 large plasma tv’s with four sound zones for perfect viewing, 4 American pool tables, interactive Namco games and Darts." 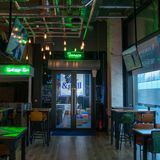 Do you work at Sports Bar and Grill Canary Wharf? 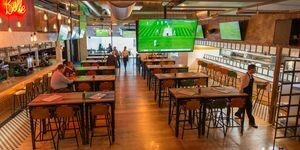 What did you think of Sports Bar and Grill Canary Wharf? great bar to watch sport in canary wharf - and the food is good too!